Since there is a lot of snow and ice here in the Twin Cities area, it is important to be careful when using a scraping tool on the windshield. In addition, it is important to purchase and use the correct tool. There are scrapers that are made specifically for use on auto glass. If you use a blade that is too sharp, it will scratch the glass requiring auto glass repair or replacement. During the winter, it is crucial that you never pour warm or hot water directly on your windshield. Many people do this as a tactic in melting ice and frost in the morning. However, you are actually causing a rapid and extreme temperature change that can already crack the glass, especially if it already has a tiny crack or chip in it. Again, this could require auto glass replacement or repair. The rubber on your windshield wiper blades can erode away over time due to vehicle exhaust, sunlight and oxidation. Your windshield, over time, will develop various ruts from road debris. These ruts can cause your wiper blades to wear down at a much faster pace than normal. You can reduce this effect by keeping your windshield clean. You should try washing the auto glass at least once a week to keep the debris off the glass and prevent the ruts from forming as quickly. 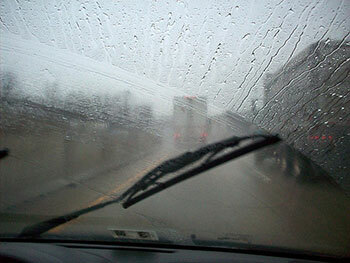 As soon as you notice that your wiper blades are not as effective as they once were, replace them. As soon as you notice a crack or chip in your auto glass, it is important that you take it in for auto glass repair or replacement immediately. This is true even for smaller chips and cracks, which can be easily and quickly repaired. Otherwise, if you prolong the repair, you will probably have to replace your auto glass instead of just dealing with a repair. Plus, it is extremely dangerous to drive on the road with a cracked windshield, as it causes your visibility to suffer. If you would like to learn more about maintaining the structural integrity of your auto glass, or to receive a quote on auto glass repair or replacement, give us a call at Only 1 Auto Glass here in St. Paul, MN.